.For a corporate guest, usually they require you to invoice their company for accommodation (and sometimes for the extras). In order to create this invoice and have it addressed to the company, you need to set them up as an Agent. The instructions on how to do that is here. A corporate agent is set up in the same way as a Direct Commission travel agent - someone you invoice for payment of the guest's stay. You'll need to create your guest's company as an Agent in Preno - they'll need to be set as No Commission. When you go to add payment for a booking, just select the payment type of Invoice Agent through the dropdown. It'll come up the accommodation amount preloaded. 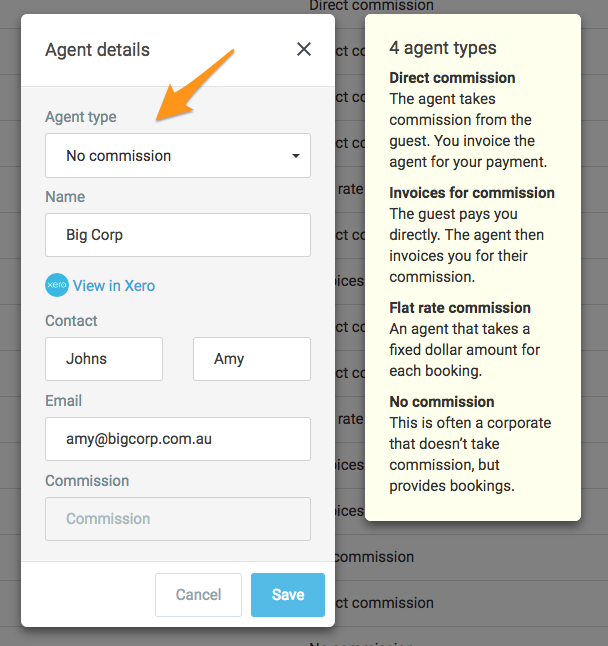 Just click Add, and then Preno will raise a draft invoice in Xero for you to send off!